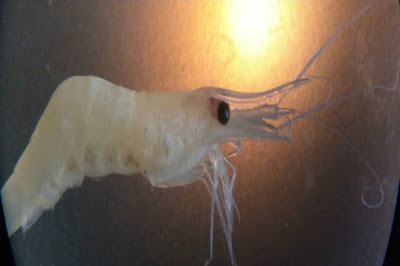 A new freshwater shrimp species of genus Caridina has been discovered by researchers from Gujarat's Kutch district, and scientists have named it 'Caridina Kutchi', after the region itself. The new species has been found from Khari River of semi-arid region of Kutch peninsula in Gujarat and is identified to be new to the science. Caridina Kutchi species is the first Caridina species to be described from Kutch, which is known for its complex geological set up. The species belongs to genus Caridina which are seen in aquatic water bodies and are very less studied in the western India. This species serves as ecological filters of water bodies. Professor Pranav Pandya, who works in the field of marine biology and has co-authored the paper on the discovery. Pandya is presently working on a research project sanctioned by the Government of India on the intertidal animals of Gulf of Kutch. Q. What has scientists named a new freshwater shrimp species of genus Caridina that has been discovered from Gujarat?